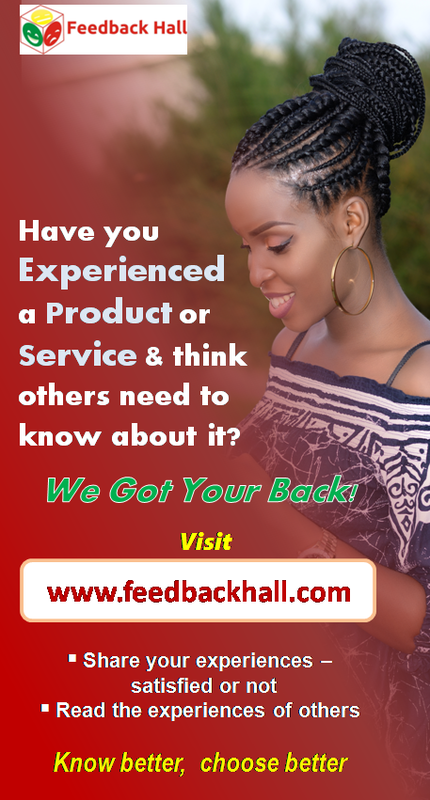 Home / buisness / Latest / Technology / WITH FEEDBACK HALL, NIGERIAN CONSUMERS CAN NOW TALK! 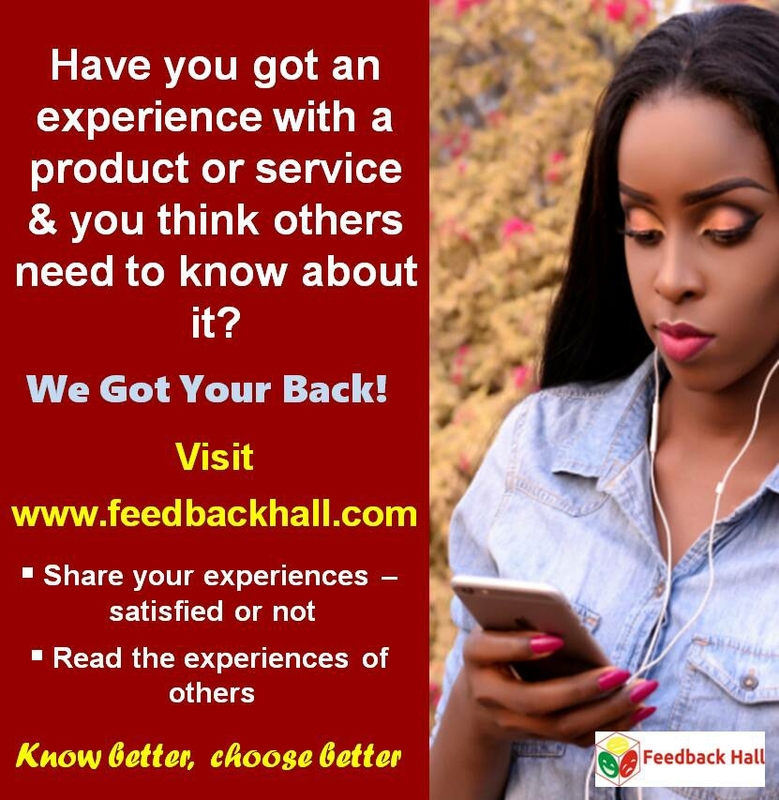 Feedbackhall is Nigeria's first comprehensive consumer opinion site, online in March 2018. 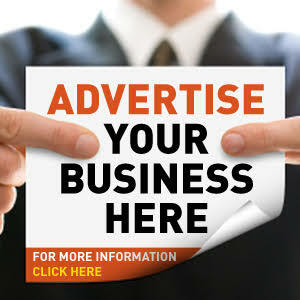 It is a platform on which Nigerians review and rate products, ask questions, share opinions and real life experiences with products and services offered in Nigerian markets - made in Nigeria or not. Over sixty categories of products and services can be reviewed on feedbackhall including Mobile Network, Banking, Transport (airlines and road transporters), Pension, Restaurants, Cable TV, Retail (online and physical shops), Malls, Cinemas, Hotels, Smart phones, Drinks, Groceries, personal care, beauty products, baby/child products and many more. Sharing product experiences and providing feedback on goods and services consumed is a right. Beyond rights, it is an important responsibility. According to the Consumer Protection Council of Nigeria, in line with international consumer rights law, consumers have a right to be informed, educated and satisfied with basic needs and they have responsibility to Be aware (gather information and facts about products and services); Speak out - inform producers of their expectations; Complain - inform businesses and other consumers about their experiences. However, many Nigerian consumers are ignorant of their rights and responsibilities and some indigenous and international companies have taken advantage of their ignorance for many years. In a speech presented on the 2017 Consumer Rights Day, Mrs. Aisha Buhari, wife of President Muhammadu Buhari, called on Nigerians to always understand their rights and responsibilities as consumers in order to stand up to market abuses which undermine those rights. On the other hand, some consumers have had pleasant experiences with goods and services and wished they could let other consumers and the producers know but couldn’t get their stories shared beyond close family and friends. 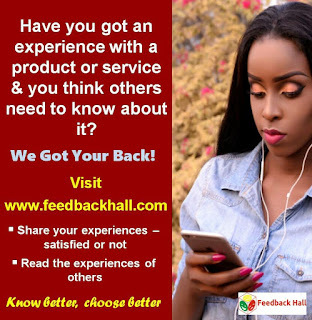 Feedbackhall provides a platform where the satisfied and unsatisfied share their experiences with consumers and producers anywhere! The building of Feedbackhall is based on a strong belief that sharing product and service experiences provides great insights for the audience and helps them make better decisions. It initiates and strengthens conversations between consumers and producers. It goes on to close the gap between what producers and service providers offer and what consumers like. Ultimately, it increases consumer satisfaction and helps businesses become even more successful.